Bascailly the intent of this path to citizen hsip which is the real heart oft eh bill is jusy anther amnesty by anther name.One has to remmber that the same sales job was said of the 80's bill and then little waqs done other than amnesty. The illegal entry problem just got worse from amensty with that bill in drawig more to come illegally. Because many of them are uneducated and illiterate in their own language. In the case of Mexicans the average education attained is around 5-6th grade. What if you stopped going to school after 5th grade ? How well would you be versed in your own language never mind be mandated to learn another. If they are uneducated and lazy, why the heck would the US want them? Can their fellow Mexicans get into the US by claiming to be uneducated? Even educated people who has worked very hard their whole life has a hard time getting in. And these people can get in without any requirement at all. Just cross the border and stay there for a year, and you get permanent residency. Then wait a while and you will become a citizen. No interviews, no English test, no citizenship test, etc. Also, I can speak English and Norwegian fluently and some Chinese. And I am not even good at languages. A person I know who is good at languages can speak 6 languages quite well. It is not that hard to learn a language if you are not lazy. These low requirement are just an insult to the ones who try to immigrate legally. And it will be very costly too. Last edited by Camlon; 04-26-2013 at 07:51 PM.. If they are uneducated and lazy, why the heck would the US want them? Can their fellow Mexicans get into the US by claiming to be uneducated? Even educated people who has worked very hard their whole life has a hard time getting in. And these people can get in without any requirement at all. Just cross the border and stay there for a year and here is your blue card. Who said they are lazy ? Janitors, lawncare, poolcare, construction, day workers, ..plenty of them have jobs that do not require them to speak to anyone but their bosses. Besides the language there are some lobby groups (La Raza) asking Congress to waive any fees they may need to pay because they don't have that kind of money. If you have been in America for a long time and haven't bothered to learn English, then yes you are lazy. Most people have kids at schools. How are they supposed to help their children if they don't even know English. How are they supposed to check if they did their homework? Or help them if they are stuck? How are the teacher supposed to talk to them, if the teacher can't speak Spanish or whatever language they speak in their home country. The fee is like nothing anyway, so it won't make much difference. The fee is $1000, while legal immigrants have to pay about $10,000 to immigrate. The bill undermines the legal system, and is a deep insult to the people who was dumb enough to wait in line to immigrate legally. Last edited by Camlon; 04-26-2013 at 08:12 PM.. They bring their children to school to translate for them. They sign the forms but I don't think they know or understand what they are signing. They shake their heads in agreement but nothing changes. They don't help with homework and they readily admit it. You do what you can do because that is the system today. I work in a school district that is 40% Hispanic, 42% White and 16% Black and the rest mixed. 83% of the student population are economically challenged. I would hate to see some of you walk into a Chinatown, Vietnamese town, or Koreantown and listen to the older people who live there. I can firmly say that a lot of the younger generations speak in English to each other and others, but may speak their parent's native tongue in their home. Can't have the Mexicans getting their citizenship by being born here. And we certainly can't have the parents of those Mexicans here because they don't speak English. The fact that a lot of the people complaining about the Mexicans probably had grandfathers from Poland who never learned English or Great-Grandmothers from Italy who never learned English doesn't matter. Poland and Italy ain't Mexico. Last edited by DewDropInn; 04-26-2013 at 08:40 PM.. The "big deal" is a whole lot of people get very upset at the very though that Mexicans are actually in this country. It's even worse if those Mexicans have had children here. Because, don't you know, those Mexican children are American citizens who became American citizens the exact same way all the people who don't like Mexicans became Americans. No, it is a big deal because it undermines the legal system. You don't make it easier to immigrate to America illegally than legally. If America had virtually free immigration policies, then it wouldn't have been that bad. As it is easier to immigrate illegally for 99% of the world population, then there will be a massive rise of illegal immigration if this bill passes. You want that? I am a high skilled worker, and even for me it is easier and cheaper to qualify for that bill than to immigrate to America legally. I would say the same thing about an American who intended to move and permanently reside in Germany, France, or Mexico and made no effort to ever learn the language of that country. It requires an intellectual laziness and complete lack of curiousity to never want to learn any of the language of a country you intend to stay in for the rest of your life. Imagine moving to Mexico and never knowing any Spanish at all. Never having any curiosity to read it's newspapers, speak to the people of that country. Some people have the mistaken notion that all other immigrants have had many generations of assimilation which is actually not true at all. There are immigrants from Poland, Italy, Vietnam, Japan, India who have been here for fewer than 20 years and have been speaking English pretty much from the start or soon after. As I have said before. Immigrants do not assimilate to our culture they try to change it to theirs. I do not buy from Mexicans, or other cultures who come here and set up community's that resemble their home land. If they loved the damn place so much whey the hell did they leave and come here? I am glad I will not be here to see the destruction of the country the liberals have brought on in 50 years from now. 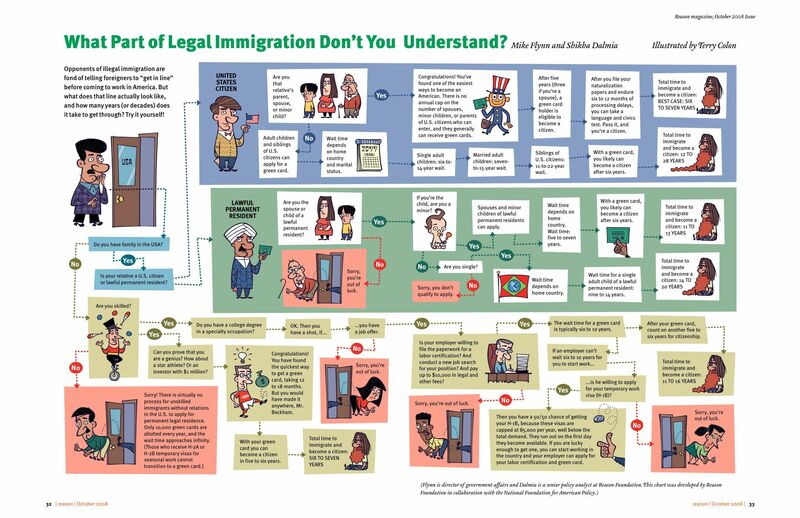 Legal immigrants are forced to learn English, why should illegal immigrants have different requirements? Legal immigrants are not forced to learn English. Try again.